Recommended for new age nitwits and chuckleheads alike....scientifically mixed in Shemp-A-Rama for your enlightened casaba-banging pleasure.... 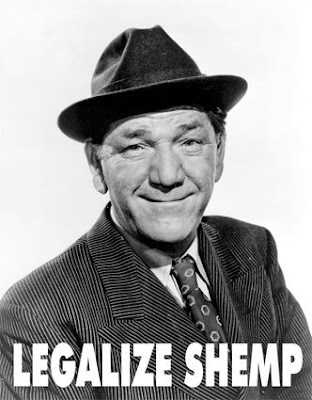 Soar the Horwitz heavens and become one with Shemp's karma on the Heee Beee Beee Beee side... transhempify your mind and cook your chakras on the life-infirming Ahh Ha Ha Ha Ha Ha side. A vast lode of myriad phobias: He was afraid of water, afraid of heights, afraid to drive, afraid to ride in a car. He wouldn't get on a plane, he jumped at every noise, and he was afraid of every dog but his own Collie, Wags.